His shelter shrink dismisses Mind Googling as mere schizophrenia and worse, intends to ‘cure him” if he keeps having “delusions” of getting sucked into other people’s heads. Nicknamed 'Pinball,' Walter has a gift for seeing inside games, too. He doesn’t play by the rules. He plays with the code. Avoids the monsters. Always beats the game. 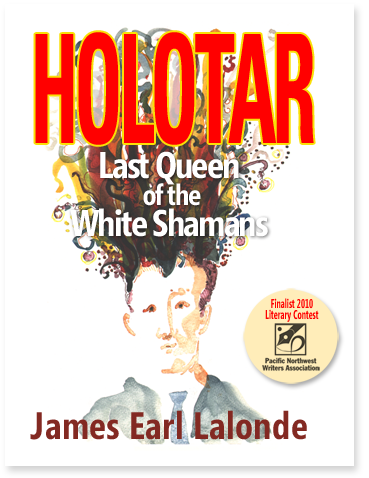 Then Walter is lured into testing “Holotar: Last Queen of the White Shamans,” a new kind of holographic fantasy game designed by a mad Russian. Walter is beguiled into promising the ‘Last Queen’ that he will rescue her child being held captive in Siberia. He also discovers that the game has been hacked by a very real monster, an ancient psychopath unleashed into the new world of games and social networks, who is preying on young gamers – like him. "Wicked chaos at every turn." Holotar - The Video Trailer!